We believe in quality work, integrity and respect for both our new and repeat customers, clients, and employees. We promote excellent knowledge and have top experience for 8+ years. Our services expand throughout the entire province of Alberta. 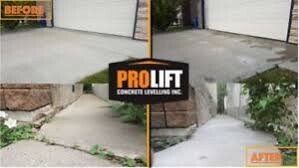 Contact Prolift Concrete Levelling Inc.